But then something shocking happened! Around Legs 5 and 6, things started to change. And for the better! The damned linear Legs continued, but suddenly the episodes were exciting and the teams appeared more fun. What was this sorcery?! And sorcery indeed because for the first time in a long time, The Amazing Race was exciting and fun to watch because of… the teams?!!!!!!11! Leg design and challenging tasks will always be a huge part of what makes any TAR episode or season successful. But casting plays an equally important role. And that is true even more now when TAR’s smaller budget necessitates simpler Legs. I keep pointing to TAR17 as a benchmark for the series because the HD Era of The Amazing Race has been its weakest. TAR was one of the most consistent shows on television even when all others were bleeding viewers thanks to the growth of cable and internet options. But the show began a steady decline after TAR17 and it quickly sped up until it pretty much crashed and burned with Season 24. That steep decline resulted in the show getting shipped off to Friday night. But Season 25 showed that there was still some great creative potential for the series. It was and still is the best season since the widely appreciated season 17. And one of the biggest reasons season 25 was so great was its casting. A great cast of teams can help prop the show up when other aspects like locations and tasks may be lacking. And when locations and tasks are actually good, a great cast makes it all even better. That’s what happened with season 25. But for season 27, it was the former. The tasks and locations, especially for the first half of this season, were nothing to get overly excited about. But it was thanks to the cast that the episodes starting with the Zimbabwe Leg were actually fun, exciting and enjoyable to watch. A lot of the nail-biting excitement was thanks to teams’ own missteps. But we also got to see teams actually competing against each other. And sometimes with each other too. Part of that is also TAR dropping the Justin & Diana vs Tanner & Josh rivalry and instead focusing on each of the teams instead. The first few episodes showed absolutely nothing about the teams. But when TAR finally did move away from the rivalry and actually gave teams time to shine, everything was much better. Other than the two Legs in India, which always delivers no matter what season, if you put any post-TAR17 cast on this route, you’d get another middling-to-low end season. A typical HD Era season of bland tasks and even blander teams. But the cast of this season, you have to admit, has helped carry a lot of the show’s weight. That’s something that hasn’t been done in recent years on American TAR. And it shows just how important casting really is. I think TAR27 may be the start of a new era for The Amazing Race: The Post-Ford Era. Yup. Have you noticed? There were no self-driving Legs this season. And that’s basically because TAR no longer has a car sponsor. After nine seasons of the Ford Motor Company graciously supporting The Amazing Race, they’ve apparently decided not to continue. And that’s definitely a shame. Fitbit, the show’s newest supporter, is great and all. But losing Ford is a pretty big deal. Not only do they lose one of the biggest advertisers in the country, they lost a Race resource as well. It will be interesting to see if TAR gets another car sponsor for TAR28. Or even if Ford returns. But the loss of Ford is just one example of TAR’s current state. TAR’s glory days are, unfortunately, well behind it. The show may squeeze out more seasons on Fridays for a year or two. But for it continue, it’s obvious the show will need to attract more big sponsors or greatly reduce the cost of producing the show. The Amazing Race is not a cheap show to produce! It’s not Big Brother, that’s for sure. This season, the show basically dropped the Speed Bump as an extra task and instead instituted a sort-of handicap on the Road Block to serve as the Non-Elimination penalty. That is in addition to using zero-hour Pit Stops which are basically no-penalty Non-Elimination Legs. Three extra Speed Bump tasks may be a small part of the show’s budget, but that’s extra money that could be spent on something else. And the fact that TAR has to make such concessions is just really sad to think about. But again, The Amazing Race is not what it once was. However, that does not excuse poor Leg design. Smaller TARs around the world have been able to design great Legs with great tasks with even 1/3 of the TARUS budget. Justin & Diana’s win streak here really is more to the poor Leg design and TAR continuing to inexplicably separate teams into groups at the start of each Leg. In the Netherlands, they actually separated teams by staggering their departure times. One-team-at-a-time! What?! That is absurd. This season probably had the most first-come-first-served tasks of any in recent memory. But it wasn’t as obvious since at least one team made a dumb mistake in each Leg to keep things interesting and exciting. The teams were competitive enough this season, but when the Legs offer no opportunity for teams to get ahead, it’s not a surprise when the same teams win or lead every week. TAR needs to fix that moving forward. Design Legs where teams are competing side-by-side. That always provides the most excitement. Are six teams doing a task at the same time really that big of a logistical challenge? I don’t think so. Especially when TAR seems to be loosening up on their self-imposed rule of not showing crew in the episodes. So bunch teams up! Equalizers are all our friends! Instead of forcing teams to be separated, force teams to catch up at Hours of Operations. In the past, there was no need for forced equalizers because the tasks would be equalizers enough. But now with the simpler, sometimes bare-bones Legs, equalizers are a necessity. I think TAR is in need of a graphics update. They did some tweaks this season. The team IDs now have a little airplane flying along with the names which are now yellow-green while subtitles are no longer the signature TAR yellow and instead boring white. The currently dead TAR Australia still has/had the best graphics package and look of any international TAR. Though season 2 of TAR China has some creative new graphics as well. Another tweak this season, other than the elimination of the Speed Bump, was the use of a 3rd U-Turn. I never realized there had only ever been two in any one season. I guess I’ve gotten used to TAR Philippines’ U-Turn/Yield on every Leg as well as the Yield having originally been available on every Leg. It wasn’t that much of a tweak though since they just split one Double U-Turn into two single ones. If they had three DOUBLE U-Turns, then it’d be a big twist. But really, the split U-Turn didn’t matter so much as its placement on the Race was more important. I’m as surprised as anyone that I actually liked season 27. Maybe it was because season 26 was bad (not horribly bad, but just not good). But season 27 was definitely better than the blind date gimmick and that’s a big relief. But I honestly enjoyed this season much more than any non-TAR25 post-TAR17 season. I usually came out of seasons since and including TAR18 with a sense of “Meh” and the UGHOMGWTF of TAR24. But after TAR25, this season 27 has been the next most enjoyable for me, immediately after it’s airing. Overall enjoyable and fun. And that’s not something that can easily be said of most recent seasons. My hope for season 28… please don’t let the virus, I mean viral stars kill the show for good! Pretty please! Denise & James Earl are definitely the most fun parent/child team since Gary & Mallory. And while James Earl was alright, it was definitely more thanks to Denise and her awesomeness. She was hilarious and a ball of energy, almost like Mallory. But Denise also pulled her weight and definitely Raced well. For another team, a pre-Race storyline of her not being accepting of her son being gay would’ve been the ONLY thing the Race would repeatedly harp on for their entire run. But both of them, especially Denise, was able to be more than just that one thing. They were great characters to watch as Racers and as a mother and son without any extra asterisks. Tiffany & Krista were definitely the biggest underdogs of the Race. Definitely underestimated, but they stepped it up when they needed to and it almost got them to the Final Leg. Their great energy and drive to Race was great to watch. Strong women who were competitive and hilarious fun most of time. We need more like them on the Race! Logan & Chris are probably the biggest surprise for me this season. Paparazzi of course have bad reputations and a negative connotation to them. But their jobs outside of the Race really didn’t matter here. And that’s especially since Logan and Chris provided enough entertainment on their own. Bickering couples can be hit or miss, but Logan and Chris were definitely a hit because they backed it up with solid Racing and some fun, hilarious moments. As a viewer, you can sense which fights are fun and which are uncomfortable to watch. Logan and Chris’ bickering moments were fun to watch and seeing them overcome such bumps and still Race well was great. Tanner & Josh were initially held back by the forced rivalry with Justin & Diana. After TAR dropped that story, we got to see Tanner and Josh are actually more fun being presented as the “cool bro” types. I compared them to TAR Canada 3’s Gino & Josh (actual brothers) who were hilariously fun with their “Oh my God bro” and “Whatever dude” attitudes. Bickering couple in a different sense! And it was lots of fun. The better editing for them after the rivalry arc and seeing their more natural personalities helped make them much more enjoyable. And of course their elimination more tough. Cindy & Rick may be this high on the list, but I think I was most let down by them. They had some great potential, done in by their horrible final Leg. But before that, we saw they could be hilarious fun as well. Especially Rick and his randomness. They were laid back and relaxed, but still solid Racers. That last Leg was horrible, but they showed they could go far if they stepped it up. It’s too bad they had that big blunder of a Leg. Ernest & Jin were a solid team as well. They seemed like the fun, good-natured team who may be on the Race to help with their lives back home, but are also competitive and enjoy being on the Race itself. I would’ve liked to see more of them and what they could do. Like Logan & Chris, there’s also a negative connotation with TMZ. So I wasn’t sure about Kelly & Shevonne going into the Race. But for their short time, they were actually great to watch. I think their snarky comments would’ve been fun, especially against someone like Justin. You need people like that on the Race. And other than being bad at puzzles and volleyball, we didn’t really see what else they could do. Too bad. Jazmine & Danielle were a little boring until their big missteps in their final Legs. Definitely disappointing because you expect a lot from a pair of strong athletes. The poor editing made Alex & Adam almost invisible, however. Their elimination was one of the closest and it was at the hand of a poorly designed Leg. Would’ve been interesting to see them go a little further. Kelsey & Joey aren’t really unlikeable. But until Tanner & Josh faded from the big “rivalry” talk, Kelsey and Joey were nonexistent. And then they became the main foils to Justin & Diana. That limited their personalities because there were many times when we got to see them be a little bit more fiery and feisty. I don’t know if they were trying to be careful with their image since they do still have a job, I believe, as anchor and reporter. But it would’ve been great to see them more cutthroat like in the finale. And finally Justin & Diana. I don’t hate Justin like many fans do. (Especially the casuals!) But he was definitely annoying and a little too “on” for the Race. He’s a superfan, but somehow didn’t think his shtick was a little too much for the show. The camwhores and teams who try to play up too much to the camera are never good. And while they deserve some kudos for winning Legs, their record isn’t as impressive as say Rachel & Dave’s or even Natalie & Meaghan of TAR Canada 2. The linear Legs definitely helped them more than the other “dominant” teams of the past. But they are definitely not the worst team, ever. I’d take him back over the likes of Dave & Conner or BJ & Tyler. And they even have a case for an All-Stars slot more than most of the teams this season, tbh. 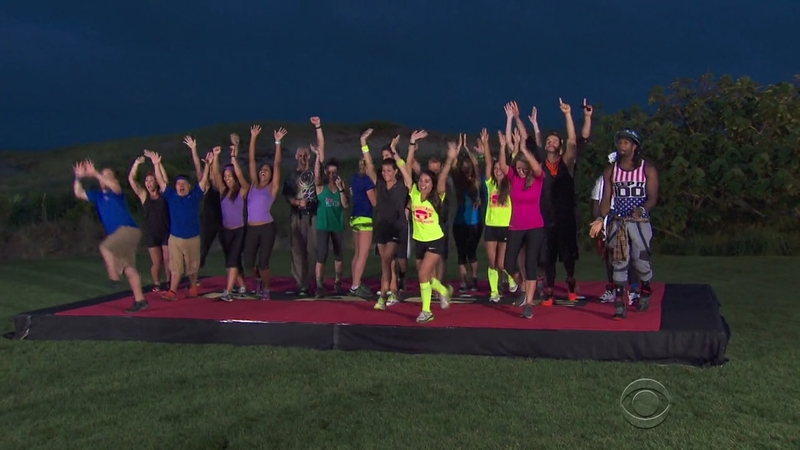 ← Recap: The Amazing Race 27, Episode 12 – "Don't you know the rules of this Race?" I don’t quite agree with the idea that equalizers are necessary, since to me, the equalizer is something that prevents teams from suffering travel bad luck with flights or taxis or too much good luck like getting way earlier flights. They shouldn’t act as a handicap for weaker teams. What I think should be more of are tasks or challenges that have more opportunities for mistakes. You mention that casting is very important, and I agree, but you never quite explain what they did right, just that they did. My thought is that they should cast teams that are mediocre, border-lining on incompetent, since it’s more satisfying seeing them race since they make more mistakes. Just an observation as I read through your all time favorites, but you seem to have a bias towards teams that either bring some kind of intra-team drama or feature a strong female or older character, while you tend to root against teams that have strong male character or bring some kind of inter-team drama or rivalry. With that said, it’s no wonder you have bias against teams like Justin/Diana (which surprised me since Diana was a great racer in her own right), as well as previous season teams that had the strong male characters like BJ/Tyler, the cowboys, the border patrol, Dave/Conner, etc. I don’t think equalizers should handicap weaker teams. The main purpose of equalizers on contemporary TAR are to combat against poor, linear Leg designs which have become the norm. And add to that the tasks which are not only easy and simple, but boring and uninteresting. At least, if there are equalizers, we can see all teams racing side by side and at least feign the idea of competition. Of course, good tasks where, like you said, there are opportunities for mistakes or do not favor physically or mentally strong teams will be the best. With casting, the basic template is to find teams who are competitive, want to Race and compete and are not overly concerned with trying to maintain an image or character. That is, a team who would have no problem getting into arguments with another team over a taxi, for example or teams who would have no problem U-Turning and such. For TAR27, I don’t think they really expected these teams to make so many dumb, but hilarious mistakes. But I think the common thing with these teams that may not be present in seasons like TAR20-TAR23 is that each were interesting on their own. Editing plays a part in how we see teams. But I think here, each team was able to carve out a niche, so to speak for the season. Whether it is being competitive or seeing Denise says funny things or Chris & Logan fit the bickering couple slot… it’s basically just trying to see what kind of potential a team might bring to the show. It’s definitely a gamble and you can never be sure how different teams will be from casting to the actual Race. As for my biases. I don’t know if I agree. The teams with major intra-team drama that are on my faves list are the likes of Brenchel and the Paolos (whose bickering was typical family stuff). Then there are teams like Teri & Ian and Kelly & Jon who are bickering couples, but Race excellently and make up quickly. Their bickering wasn’t their biggest character trait. And then there’s a team like Ron & Christina whose season-long arc was them going from fighting with each other to becoming a close father/daughter duo. It’s definitely great to see strong female Racers (physically, mentally and entertainment-wise, sure). Gretchen can definitely be considered a strong female Racer as well. There’s also plenty of older teams and older characters who I may like, but wouldn’t necessarily care to see again. Teams like Bill & Cathi who may be awesome, but not a favorite of mine. I definitely have a lot of teams who brought intra-team drama on my list. 2 of my all-time faves Charla & Mirna and Teri & Ian definitely didn’t make a lot of friends during the Race. Ian, Ron, Ken & Gerard… those are guys who had strong characters that definitely rubbed people the wrong way. But I love them. With Justin & Diana, I just didn’t care of Justin’s shtick. And it definitely felt like shtick. But at the same time, I don’t hate him like I do Dave & Conner or BJ & Tyler or the Cowboys. I even wouldn’t really mind seeing them on All-Stars or something. Art & JJ will definitely never be a favorite team of mine. But they most certainly would’ve been better choices for TAR24 than half of the cast they did choose. They were absolutely annoying during the season, but at the end I came to realize they were just trying to stir the pot most of the time and weren’t as bad as they were made out to be. BJ & Tyler are annoying camwhores who should have been eliminated in Australia and did not deserve to win at all. The Cowboys are entitled, confirmed homophobes and maybe racist with fans who are even worse. And Dave & Conner are just horribly miserable and bitter people. Kindly explain how you come up with your overall season rankings? Well, all my rankings really are subjective. As a big fan of the show and of teams, it’s difficult to ever be objective. So really, my rankings are personal preference. With seasons specifically, I think the biggest thing I ask myself is “Would I mind watching this season again?” And for seasons like TAR3 or TAR5, I’ve rewatched them and episodes from them a lot of times since they first aired. So basically, seasons who have teams and tasks and moments and episodes that are enjoyable and fun no matter how many times I watch them. My question though is why TAR 17 being the Top 3 while TAR 13-16 being ranked higher than most post-TAR 17 seasons? I guess TAR17 is freshest in my mind since I just recently rewatched much of the season and really enjoyed it. So I put it on par with TAR8 and even TAR11 and TAR12 could tie as #3 as well. It’s very close. As for TAR13-16, in my quick reviews of the seasons (teams, locations, some tasks), I felt like I remembered more things about them than most post-TAR18 seasons. So that’s why they ranked higher for now. I’m kinda curious though if what is your ranking of TAR Asia seasons? Who are your favorite teams? Who are your least favorites? I started rewatching TAR 4. What is your opinion about each team and the season overall? Hmm, it’s been a while since I’ve watched TAR4. The season overall was good. Good balance of fun and drama and good competition. Best title quotes of any season, definitely. Hehe. As for the teams, Kelly & Jon are definitely one of my all-time favorites. I didn’t like Amanda & Chris too much when the season first aired, but I really enjoy them now and wish they had survived. They were hilarious. Steve & Dave were also hilarious. Tian & Jaree were fun and dysfunctional. Millie & Chuck’s whole drama was great. Monica & Sheree were very feisty and good to watch. Jon & Al were fine. David & Jeff were like Rob & Brennan/Chris & Alex-lite. Steve & Josh and Debra & Steve were alright. Cindy was great, but Russell really came off like a jerk. And Reichen & Chip… ugh. But in hindsight, definitely not the worst winners.